Also a HUGE thank you to all our entrants this month... It's been stunning and we hope to see you back again next month.... Paula is our hostess and she's got a fun challenge ready for you! A little peek at some of our entries this month. Oh my goodness.... we have had a great response to the challenge this month. 68 entries thus far and still 8 days to go.... keep them coming. You know you can enter up to 4 times each month. I have to say I am pleased that our winner will be chosen by Random.org! I wouldn't like to pick a winner. But today I am going to show you some of my favourites from the challenge entries. Here circle is cut with a die from felt. Lots of scrummy green on this one. She used a Hero Arts die cut to make her tag. I wish I could highlight every entry, but you can go see them HERE and feast your eyes on all the gorgeous cards. Thank you all for entering and remember.... 8 days left and you can enter up to 4 times. Today I am sharing with you a tutorial from Arlene on the Triple Time Technique. Arlene and I first saw this on our friend, Anne's blog. She had watched a video by Dawn Olchefske which showed how the technique was done. But she wanted to write it down so she could have the sizes and instructions always with her. All Right Ladies, Start your Engines… oops… cutting. Cut out all the sizes listed above. We’ll call the panels that are going to be what I think of as the “top” panels Panel “A”s and the bottom panels (like the panel that becomes the notecard itself) Panel “B”s. 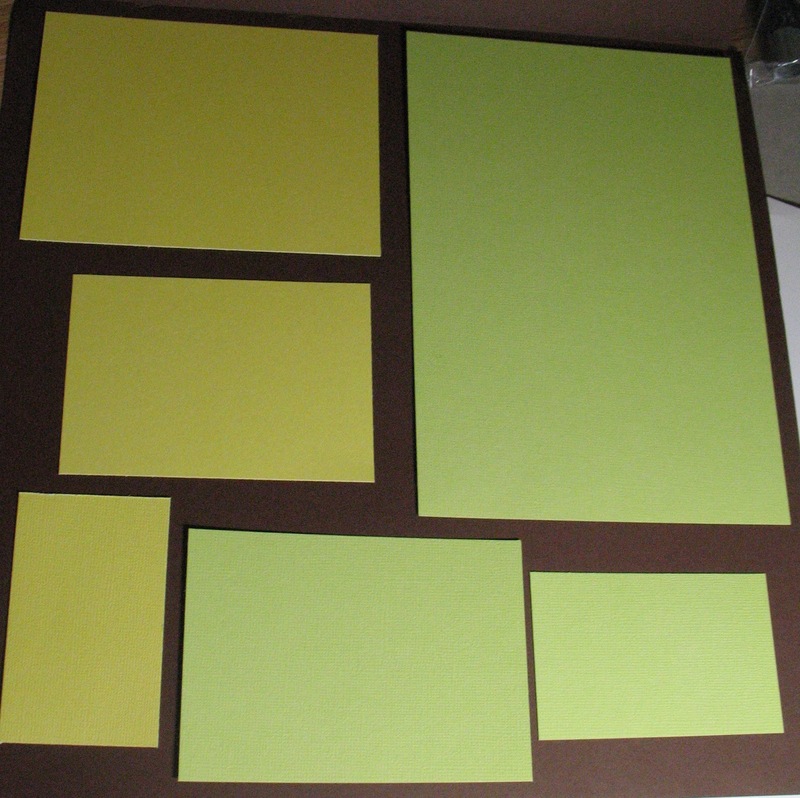 Fold Panel "B" (base) in half and now you have your note card ready. Take all the panel “A” s and tape with Removable tape, largest on the bottom and smallest on the top. On the smallest panel (A) you may wish to stamp a sentiment first and then start stamping. Start in the center and work your way around the edges, using a lighter ink because this is your stamped background. 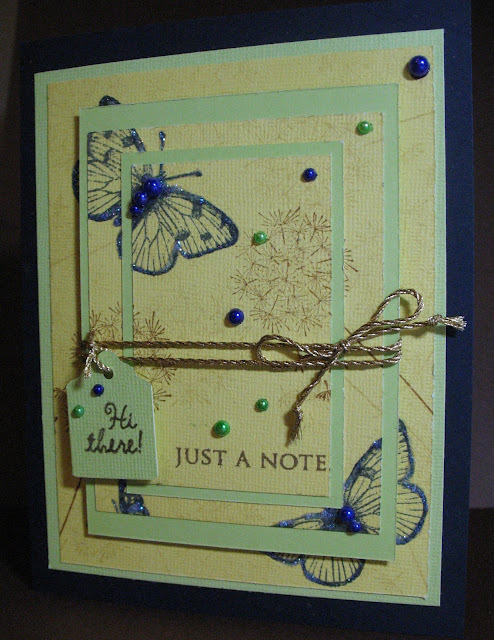 You can use a background, script, or other stamp for background. Then stamp with a darker ink using a smaller image, like a flower, butterfly or other focal image around the as you prefer. When satisfied, stop and pull the panels apart. Starting with the smallest panel, layer the smallest panels “A” and “B” together, next layer the middle panels “A” and “B” together. Be careful to make sure the pieces are not upside down when you layer 1st and 2nd sets. 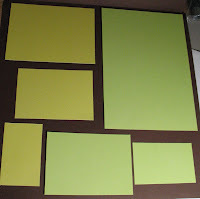 Attach the 2 “A/B” panels, smallest on top of middle panels. Add embellishments like buttons, flowers, pearls & twine (32 inches wraps 3 times around the top panels). To wrap twine, hold twine to left side (for right-handers), starting in front and wrap 3 times. You can thread the button with the twine. Tie and make bow. Trim twine tails on bow. 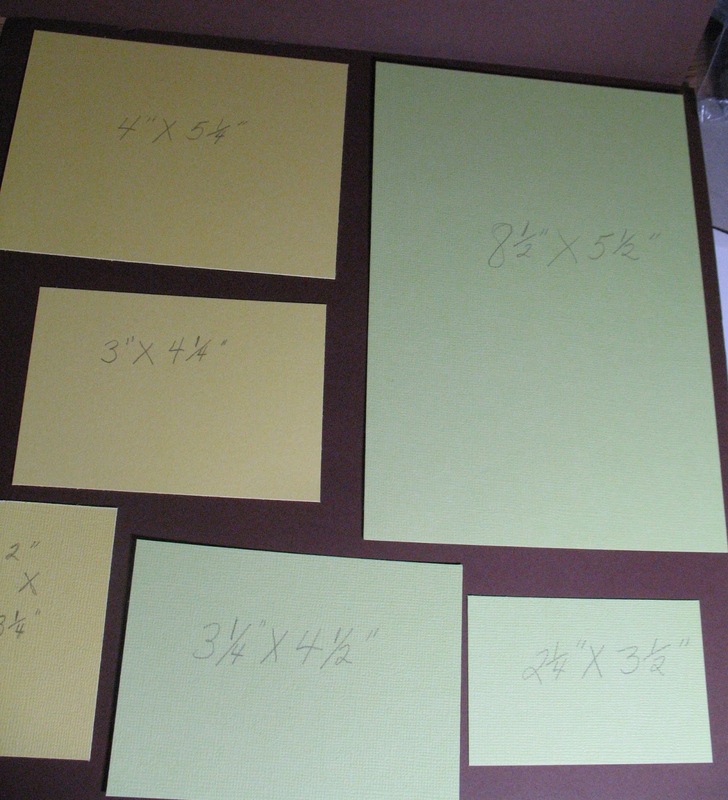 Take the largest “A” panel and adhere to “B” Base or note card. Put dimensional on the bottom of the top panel section that is now one panel and layer to bottom panel. You are finished. Hope you have a go with this technique. It really is fun. and the Die Cut Divas team. 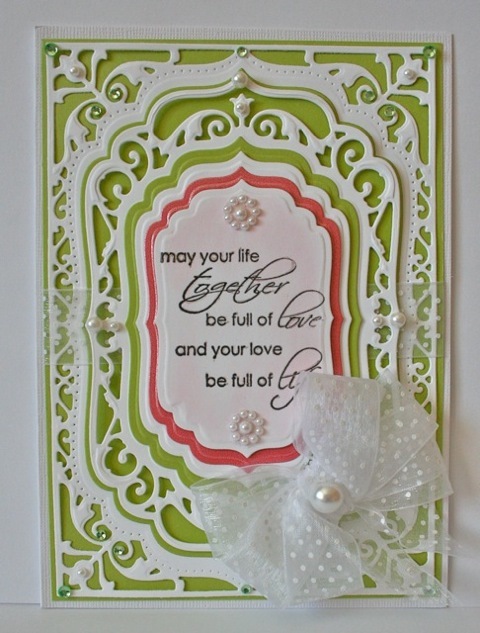 I am happy to share another gorgeous card from our Guest Designer, Sheila. She made us three cards and here is the final one. Not from me though!. No video camera. But my local stamp store ~ Scottie Crafts ~ has a number of videos on their You Tube... and with the kind permission of Adrienne and Wendy, I present to you a "Wendy's World" video. Please note the video is made to show stock in the store but it gives you some absolutely gorgeous samples and inspiration. 4. Send all your details (name, physical address, phone, images) to HERE to enter the draw. Make sure you keep your project instructions. 6. Once a month, we will choose 4 winners. 7. The winner's project will appear with instructions on our BLOG & win a "yummy prize"
Don't forget that our challenge is still ongoing... link up your GREEN cards here. 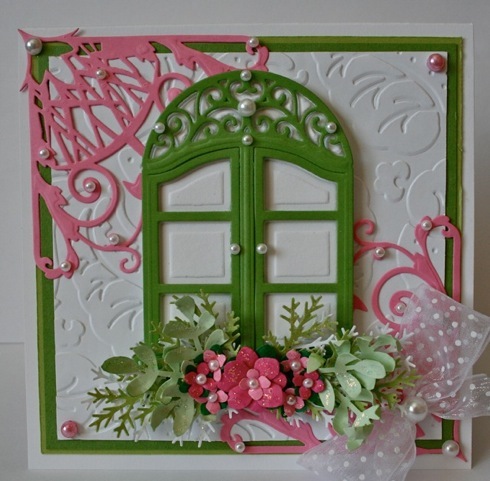 Introducing this month's guest designer...... Sheila! Die Cut Divas let’s get to know....Sheila Hnilicka! I live in South Eastern Wisconsin in a very small town. This past summer I turned 50 which I celebrated by doing a 60 mile Susan G Komen Walk for the Cure. It was so much fun and I would love to do another one someday. I have three children...well, not really children anymore as my daughters' are going to be 23 and 20 this year and my son will turn 18 at the end of this month. Yikes! That means next September my husband and I will be empty nesters! I have been married to Joe for 21 years and am looking forward to the next stage of life with him. 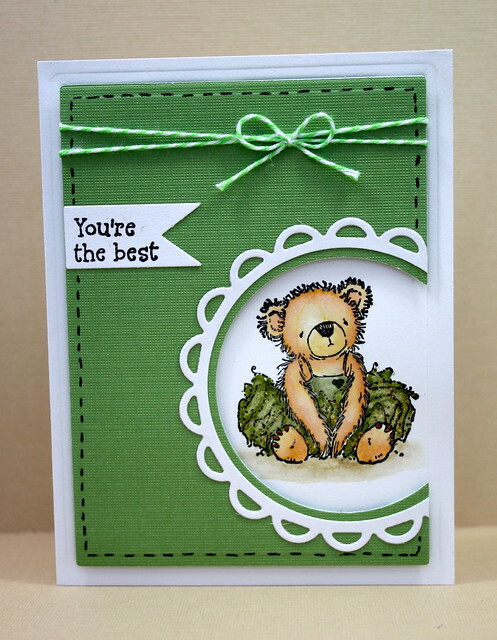 How long have you been a card maker/scrapper and when did you start? In 2004 my oldest graduated from middle school and the tradition at that school was to make a poster size collage of your child and how they have grown through the years. I had NEVER done anything like that before and am sorry to say my first attempt at crafting was less than glorious! My second daughter graduated from the same school two years later and by then I had begun both scrapbooking and card making. 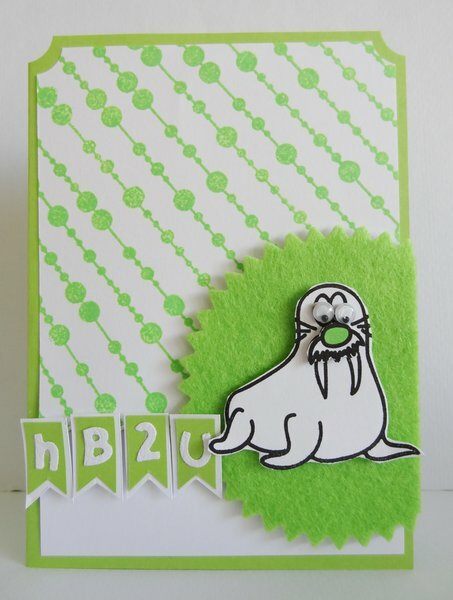 When my middle daughter was diagnosed with Type 1 diabetes I needed to find a craft that was more contained and not so spread out while we adjusted to our new routine and that was where cardmaking came in. 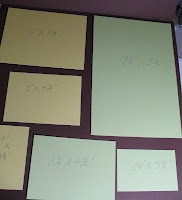 It had never occurred to me that adults made their own cards....it was a whole new world for me! Do you follow sketches or dive right in? I would love to say that I follow sketches....I would love to say that because it would make me sound cool and organized and semi-professional but in actuality I usually just dive right in. I am getting a little bit better at using sketches as a jumping off point or even a jumping off "inspiration" point. I do think that if I would follow sketches more I would waste time less! How many projects do you make a week?Ahhhh it would be nice to be able to make several projects a week but in truth my life often gets so busy that I never make it into my crafting room for a week or more. I am really (really!!!!) hoping that this changes as my life changes because I feel that crafting "centers" me.....kind of calms me down and keeps the everyday stresses at bay. What is your favorite tool (what can't you create without) and why? Great question! 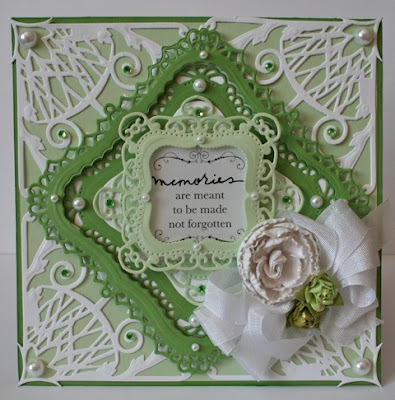 I really, really depend on my Spellbinder Grand Caliber Die Cutting machine....I think that I probably use that every single time that I craft. 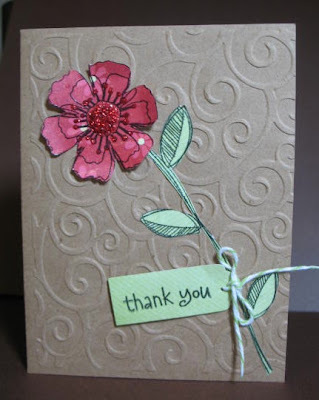 I almost always use at least one die in my cards and lately I have been adding more embossing to my cards. I also use this series of rulers called the "Perfect Layer Rulers" and these have a permanent place on my desk. I probably use these for every single card or scrapbook layout I make. I love to have multiple matting for my projects and these babies are the best thing around for perfect mat edges every single time. Lastly, my exacto knife...I use it for everything....cutting, picking up and moving small bits of embellishments...pressing down small glued bits of paper.....everything! What at the moment is your most favorite thing to do on your project? Hmmmmm......hard question. I love to color and that is probably my most "go to relaxing" aspect of crafting. 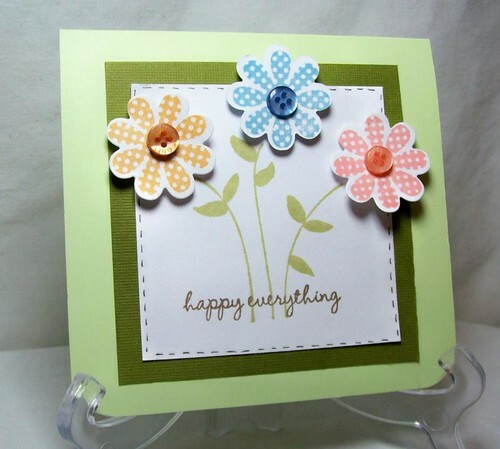 I love to play around with different die cuts and am having more and more fun with assembling cards and using my die cuts in different ways. How would you describe your style?Wow-I have NO idea what my style is except that I know that it is probably not considered Clean and Simple! What about your style would you change (or not) and why?I think that sometimes I overdo it on cards.....like I don't always know when to stop! And, that can make for some pretty over the top cards. I think if I could change anything it would be my "eye" which would become much better at telling me when a card is done. Have you been published or on a Design team - when & where? My crafting area is split up over two levels. I tend to be a messy crafter and so I do all my messy stuff in my basement....It would stress me out no end to have the bits and schnibbles of paper and glue and bling scattered all about my house the way it is scattered in my craft area. Then I have my computer and camera etc upstairs in a little office which faces south and so has wonderful sun. Thanks Sheila, it was great getting to know you! 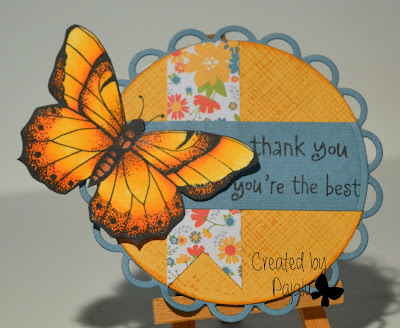 Aren't these just stunning.....I am always in awe of the creations Sheila does... that die cut machine certainly got a workout with this two and come back next week when I have another card to share from Sheila. 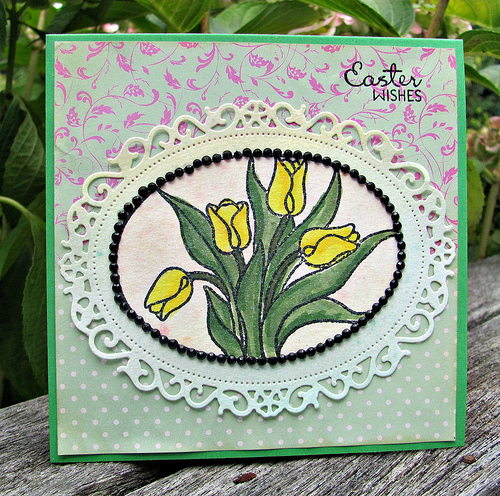 My second card celebrates Easter. I used some green water-coloured paper to make the frame using a Spellbinders die. The PP came with a magazine ~ half one pattern, half the other, so I just trimmed some out of the middle of the sheet...easy as!! The flowers stamp is from JudiKins - one I've had for years and only used a few times. I stamped it on some watercolour paper that I had coloured with pinks and golds. I coloured the image with Copics. Finished with the sentiment from a Verve stamp set. Have you been and seen the entries so far! Stunning says it all!!! Look at this page. And we would love to have you join us. And keep an eye here for some up coming posts..... I've sourced some videos to share and our Guest Diva is coming up.